The $100 iem market is saturated with offerings, all carrying different flavours of sounds within varying form factors. However, a few models stand above the rest, either through exceptional technical ability enabling responsive eQ or tonal refinement, the latter being notably lacking. And among them, the EN700 Bass was one of my favourites. It was an impeccably built and natural sounding earphone that demonstrated maturity well beyond its asking price. However, like anything, that model wasn’t faultless with notable issues such as a lack of removable cable and some technical ability preventing wider recommendation. The new EN700 Pro seeks to append the complications of models prior, sitting at the apex of Simgot’s EN700 line of earphones. That said, though the Pro brings new features and the same refined tonality within a similarly solid form, it also carries a slightly higher $150 USD asking price. Let’s see how the Pro performs and determine whether Simgot’s newest in-ear justifies its increased cost. The EN700 Pro has a more prestigious unboxing that still draws numerous parallels with the original with its identical accessory suit. The Pro comes with the same lovely magnetic leather case and 6pairs of silicone tips; 3 pairs of balanced tips and 3 pairs of bass boost tips. The tips are very comfortable and well-moulded, they do make very noticeable alterations to the sound that I’ve outlined in the sound section. Simgot also include a cleaning tool in addition to an international warranty card that is a very notable addition among Chi-fi iems. The EN700 Pro is identical to the Bass in design, finish and materials. That’s not at all a negative, the EN700 Bass was a comfortable, attractive and very solid earphone. Simgot have slightly updated the colour choices available, buyers now have the option to purchase a blue/red pair to better differentiate between sides and the red hue is slightly darker than the bright red of the original. Otherwise, the experience is very much the same besides some added features. The similarities begin at the Pro’s large but smoothly sculpted housings that find a comfortable and mostly low-profile fit. The Pro retains the aluminium build of the original with the same stainless steel faceplates that really draw the eye. While they feel absolutely sturdy in the hand, I do find the sharper edges on the outer face to form a small hotspot after a few hours of listening. This will vary with every listener and the Pro is otherwise a very comfy earphone to wear. The nozzles are short, integrated into the housings and small in diameter, fitting the majority of tips. As such, the Pro has a shallow fit depth which, combined with their vented design, creates average noise isolation that is barely sufficient for commute. In return, their ergonomic shaping and over-ear fit really benefit fit stability and the earphones stay put exceptionally well even during activity. The cable is the largest differentiator of the Pro from the Bass, it’s now removable, utilizing a non-recessed 0.78mm 2-pin connector and consists of silver plated copper as opposed to copper on the original models. The cable has nice elbowed connectors and pre-moulded earguides that feel a little more comfortable than those on the Bass. In addition, the cable is very pliable and supple, easily coiling for storage and routing through clothing. It’s loose 8-wire braid and smooth texture also resists tangles exceptionally well and microphonic noise is a non-issue despite the cable being interwoven with stiff but tension resistant kevlar fibres. Furthermore, the cable is continuous through the y-split and the jack has a little protrusion that enables it to function with thinner phone cases. Strain relief is also nice if not outstanding, this is easily one of the best cables I’ve come across from a build and ergonomic standpoint. When perusing Simgot’s promotional material, I was confused about the exact differences between the Bass and Pro. After a brief exchange, Simgot pushed the new 8-core silver plated cable as the biggest acoustic upgrade (the Bass used a copper unit). The actual driver and housings are unchanged though Simgot intimated towards some subtle tuning of their N50 driver. Cable believer or not, the Pro is an evolution over the original with very real sonic upgrades that put it more in line with more expensive in-ears than the Bass and those around its price. As usual, I put the Pro through 200hrs of burn-in, I didn’t notice any huge changes, perhaps they sound slightly smoother though I have no objective measurements. Please see Simgot’s webpage here for the full specifications. The EN700 Pro retains much of the character of the original, as a warm and natural sounding in-ear with a mildly V-shaped tone. However, the Pro is noticeably more balanced throughout, its high-end presence has been invigorated by that silver cable and the earphones sound both cleaner and clearer through a slightly more restrained mid-bass presentation. The Pro is also a nicely balanced in-ear when compared to competing models, it isn’t as mid recessed as either the Pinnacle P1 or 1More Quad Driver while retaining a lot of engagement and long-term listenability. Its smoother upper midrange and treble won’t satiate those seeking absolute engagement, but the Pro’s natural tone and warm bass create a very inviting signature that is easy to enjoy. The 2 sets of included tips also serve to alter their tonality with the firmer type 2 tips providing enhanced bass and the softer, larger bore type 1 tips providing a more balanced listen. The bass tips unsurprisingly increase mid-bass quantity and indirectly increase lower-midrange body without overly affecting the rest of the sound. That said, I found the best experience with the high frequency focussed tips; they are more balanced, mid-bass bloat is cleaned up and the earphones sound more defined throughout while retaining a nicely warm and natural presentation. Thus, the bass tips better suit noisier environments while the type 2 tips provide more balance during home listening. I will be using the balanced tips for the sake of review. Like the EN700 Bass, the low end on the pro is full and organic at the cost of speed and definition. Sub-bass take more of a backseat to the Pro’s fuller mid-bass response creating a presentation that is warm and easy going. Sub-bass extension is good, rumble is well present but a little loose and lows are tight enough to service faster songs. However, the focus of the Pro really lies higher up within the mid-bass and, to a lesser extent, upper bass. Bloat is evident, but this bump grants bass notes with a tastefully warm and full presentation and the Pro still sounds more linear than the similarly mid-bass focussed Pinnacle P1 and the slightly muddier Quad Driver. Moreover, their slightly more reserved sub and upper bass responses imbue their sound with less muddiness and midrange spill than is usually associated with this level of emphasis. They aren’t quite as delineated as the cooler P1 but the Pro does sound smoother than the 1More Quad Driver within its bass/midrange transition. The EN700 Pro has a balanced midrange with a slight rise in the upper mids that grants female vocals with some additional clarity. And despite their low-end warmth, the midrange of the Pro is clean with great clarity; this is a tonally excellent presentation that is very easy to enjoy. This starts with slightly recessed lower midrange that avoids the scooped sound of the P1 and the full-bodied warmth of the Quad Driver. Male vocals are clear and naturally voiced with excellent resolution, while instruments such as piano sound nicely uncoloured. Furthermore, their slightly more organic tone grants acoustic guitars with a pleasant but not overbearing sense of body. The Pro’s upper midrange compounds upon this presentation with slightly enhanced clarity and a more neutral body. Female vocals sound delicate and immediate if a little raspy while instruments sound crisp. Though not at the forefront of the Pro’s presentation, vocal lovers will find a delightfully organic presentation that mid-forward earphones cannot achieve by virtue of their more restrained bass presentation. Once again, on a technical level, the Pro doesn’t excel but provides great ability that complements its excellent tone. On account of their linearity, background detail retrieval is excellent, the more you listen, the more you notice. Foreground detail retrieval is also good and instruments have very accurate timbre though the Pro doesn’t bring nuances to the fore quite like the P1 and Quad Driver. Upper midrange resolution also isn’t quite as high as either of these models, preferring a slightly smoother response, though the Pro’s tone is more inviting than either. In addition, vocal layering is clear and they strike a surprising balance between clarity and natural voicing, organic warmth and transparency. So despite not being the most absolutely resolving earphone out there, the Pro is still a very mature sounding earphone and certainly one of the most enjoyable to listen to around this price. The Pro has a small bump in the lower treble that coincides with their upper midrange lift, creating a coherent and well-integrated sound. This contrasts greatly to the Quad Driver whose treble response sounds almost disjoint and the spiked treble response of the P1 that makes it sound overly aggressive. The EN700 Pro lacks the unevenness of both of these earphones with the same realistic tone of its predecessor augmented by notably enhanced technicality. Treble is mostly linear and natural with accurate body to cymbals and strings. As such, notes are well textured and details are more realistic if not as hyper clear as the Pinnacle. Strings are especially well portrayed, smooth with perfect body. The EN700 Pro still errs on the natural as opposed to engaging side though they have surprising sparkle due to a lift higher up in their treble response. Their most notable shortcomings stem from extension and air, both of which are good but not outstanding. Otherwise, treble frequencies are clear but not artificially so and high-frequency resolution is very nice. They do sound a little more dampened than the P1 and the Quad Driver is a little more detailed, but texturing is better on the Pro as is general accuracy. Treble notes are defined but a little confined due to their lesser extension. The Quad-Driver actually sounds even more congested due to some integration issues though the P1 holds a notable lead in terms of treble separation that really aids their reproduction of complex tracks. The EN700 Pro still has plenty of space and it is by far, the cleanest earphone with the darkest background, though foreground detailing and clarity don’t match class leaders. On account of its more resolving tone and open form factor, the Pro has a terrific soundstage that is among the best I’ve heard, not just around Simgot’s asking price. This starts with sensational space, depth is fantastic, creating especially extended vocals, and width easily reaches beyond the periphery of the head. The EN700 Pro really takes advantage of the space within each track to deliver a delineated yet coherent presentation that serves to heighten immersion and engagement. Imaging is also very commendable though not quite as class leading as their sense of space; vocals are well centred and instruments accurately placed. That said, the 1More Quad Driver1More Quad Driver is more holographic and the P1 impresses with superior transience. Still, the Pro is nicely separated on account of its linear tone and space, and it is one of the most coherent in-ears I’ve heard around this price. So given this very tangible upgrade, many are probably curious about the cable itself. Now removable, the Simgot SPC cable pairs with any 0.78mm 2-pin earphone though those with recessed connectors may be a bit loose. The cable is one of the better units I’ve come across and a bargain relative to other upgrade cables on the market. Its performance doesn’t match the excellent Effect Audio EROS II nor the ARES II or Oriveti Affinity, but it does compare very nicely to units that cost almost as much as the EN700 Pro itself. The cable has a slightly brighter tone built atop a cleaner bass response. Extension is just okay but midrange and treble excel with greater resolution and clarity. This also serves to create a more open soundscape without imaging becoming even remotely disjoint. The Simgot cable thus finds great synergy with warmer, darker earphones such as the Noble Django and EN700 Pro users definitely should not feel the need to upgrade this cable. The Pro is quite sensitive at 101dB with a lower 16ohm impedance, easily reaching dangerously high volumes from portable sources. And, being a single dynamic driver earphone, it isn’t overly affected by output impedance, sounding tonally consistent among sources. That said, I found the Pro to scale very well, thriving off of a powerful, slightly more aggressive source. My Shozy Alien+ provided my most preferred pairing, it’s a very powerful source with a natural but very detailed sound. From the Shozy, the Pro’s bass tightened up noticeably and details were more present. Midrange resolution slightly increased as did soundstage space when compared to my HTC 10 or iPod Touch. That said, the Pro still sounds excellent from a smartphone since it focusses more on tonality than technicality. As a result, the Pro is a great choice for those lacking a dedicated source but those that have access to one will find some nice benefits. EN700 Bass ($100): The new Pro is not a huge leap up but a very tasteful refinement of the original with a similar calibre of change as the 1More, Meeaudio Pinnacle and Hifiman earphones despite the smaller price jump. The Pro is slightly more balanced throughout, bass is more linear and defined with a little less mid-bass hump. Mids are less full-bodied and more neutral but still natural and warm. Resolution of layering and background details is appreciably improved. Female vocals sound a little clearer and male vocals are less warmed than before. Treble receives the biggest changes, the Pro is brighter but noticeably more resolving. Detailing is improved by a fair margin and highs are both more crisp and clean. The Pro has a noticeably larger soundstage, especially depth though width is slightly improved too and, in culmination with their generally higher resolution, separation is also a few steps up. Imaging is also more accurate than the slower, darker EN700 Bass. When listening to both side by side, you can definitely feel the daunting presence of diminishing returns but Simgot have provided a nice extension of their natural house sound while appending the lack of technical performance that afflicted the original. Rose Hybrid 7 MKII ($125): The Rose is more V-shaped earphone with a much larger sub-bass response and a slightly cooler mid/upper-bass response. It too is a very organic earphone, it’s a little muddy on account of its great sub-bass emphasis but also surprisingly defined due to a cleaner mid-bass response. The Pro sounds more integrated where the Rose has a dip between bass and mids to help alleviate spill. As such, the Pro also has the more linear, natural midrange. The Hybrid 7 is admirably clear, with greater clarity than the Pro, but it’s also thinner and a little less natural. That said, the Rose has an advantage on resolution throughout, it layers better and each nuance is presented with greater definition. This character extends towards its more aggressive high-end response. The Rose has great clarity and immediacy to its treble that the Pro lacks. Neither are exceptionally well extended, perhaps the Simgot extends a little further though the Rose has greater resolution beneath. In return, the Simgot retrieves more detail, and though it is smoother in its presentation, it is also more refined. That said, due to its smoother upper treble, the Rose avoids too much sibilance and fatigue despite its clear treble response. The Rose stages well but the Pro is still a step above in size. Imaging also goes to the Simgot though the Rose separates quite a bit better. Pinnacle P1 ($200): The Pinnacle is similarly balanced to the Pro overall though its V-shaped tuning goes further in either direction. The Pro is more linear within its bass, the P1 has less sub-bass and upper-bass with a larger mid-bass focus. As such, the P1 sounds cleaner, it is also noticeably faster and more defined within the low-end at the cost of extension and linearity. Lower mids are similar, the P1 is more recessed and a little uneven with thinner body. The Pro is more balanced and on the warmer side though it is undoubtedly the more accurate, natural performer. Upper mids will be a matter of taste, both have enhanced clarity though the P1 pushes this a step further with more aggressive detailing and greater immediacy to foreground elements. The Pro is smoother but clearly isn’t as nuanced as the Pinnacle. Treble tells a similar story, the P1 is quite aggressive on account of a lower treble spike where the Pro has just a little bump to lower and upper treble. That said, the P1 is still surprisingly refined and more extended, it is a little more detailed but also has a tendency to sound thin. The Pro isn’t as technical as the P1 overall, but tonally, it is a lot more linear and natural. The P1 has a wide stage but the Pro is wider yet with a lot more depth, the P1 separates better due to its more sculpted tone while the Pro is more integrated. 1More Quad Driver ($200): Both are V-shaped earphones, the Quad Driver more so. The 1More sits in between the Simgot and Pinnacle in terms of linearity, mainly due to an uneven treble response. Bass is better extended on the 1More and its focus lies lower down creating greater slam and impact while retaining a slightly more transparent bass tone. That said, it has a rise towards the lower midrange, creating a noticeably thicker midrange than the Pro. Mids are a bit more recessed on the 1More and generally more laid-back, male vocals in particular. Upper mids are appreciably cleaner, vocals have great definition but lack the clarity of the more lurid EN700 Pro. Despite this, the 1More actually has a slight resolution advantage with greater layering and space. Treble is where these earphones depart, the 1More is again, a little more laid-back but also a little peaky. It is more detailed and more aggressive in its presentation as opposed to the EN700 Pro, the Quad Driver also has a middle treble bump that grants it with extra sparkle. Both are similarly extended, the 1More has more air though the Pro is cleaner and more refined. Staging is interesting, the 1More has a nicely rounded stage though one that is smaller in dimension than the Simgot. Perhaps the Quad Driver’s most notable trait is its very holographic imaging, it isn’t necessarily more accurate than the Simgot but it does sound very multi-dimensional with great speed. Oriveti New Primacy ($300): The New Primacy is immediately a lot more balanced than the EN700 Pro. 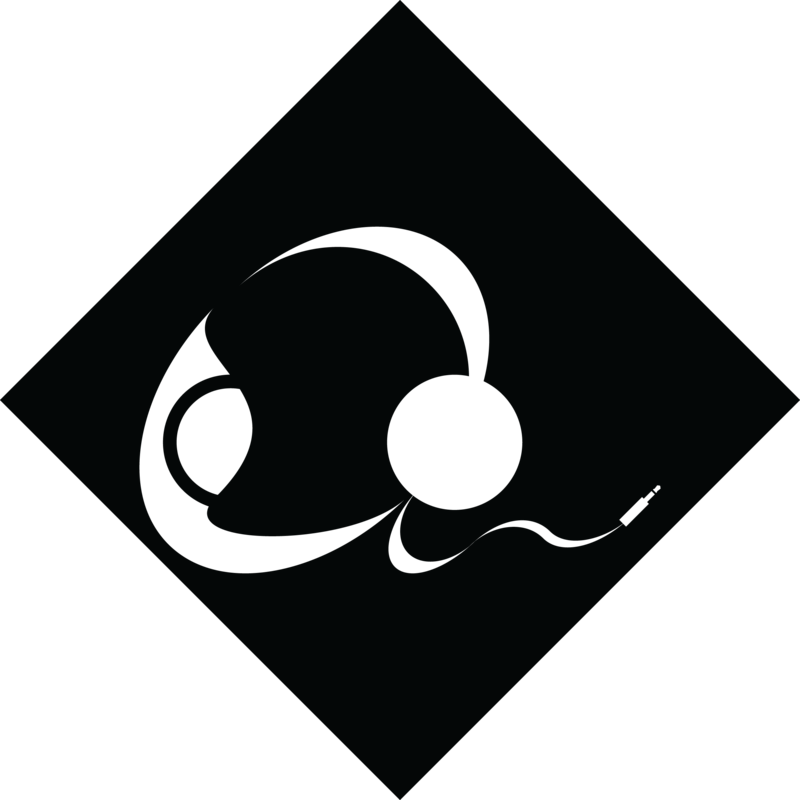 Bass is similarly extended with greater deep-bass presence. Mid-bass is far more restrained, creating a much cleaner, more defined response but also one that lacks the organic warmth of the Simgot. This feeds into a midrange that is smoother and more accurately bodied than the Pro. The New Primacy is more even throughout, lower mids are noticeably more forward and it can even be considered slightly mid-forward as opposed to the V-shaped Pro. However, the Oriveti balances its forwardness with a very dark background and great smoothness and extension to vocals; it sounds just as natural and almost as clear as the EN700 Pro, with an extra layer of refinement and resolution on top. The New Primacy is also appreciably more detailed with a similar mid/high transition. Highs are a bit more reserved on the Oriveti as opposed to the slightly enhanced Simgot though it is more linear and a bit more resolving, especially of higher details. The soundstage is where the Oriveti falters, it’s not an intimate earphone but the Simgot is a lot larger in every axis. Separation is similar on both, the Pro is more spacious, the Primacy is cleaner and both image very well. The Oriveti is an excellent iem even within its higher price class, it represents the next step up in balance and linearity from the Simgot, but also lacks the same level of engagement, demonstrating the importance of personal preference. The EN700 Pro isn’t a complete overhaul, but a very commendable upgrade that well addresses the shortcomings of those before it. And when compared to other manufacturer’s with similar line-ups, such as Meeaudio with the P1/P2 and 1More with their Triple/Quad, Simgot have a more incremental price increase of just $50 as opposed to $100. This puts the Pro in a very competitive position since it is very much comparable with these higher priced models in terms of sonic performance. Because the Pro has a truly delicious tonality that ticks all the boxes; it’s just as instantly gratifying as the Bass, natural, linear and balanced without sacrificing character and engagement, but holds up far better under longer-term critical listening. Furthermore, the addition of a removable cable better justifies the Pro as a long-term investment and the cable itself is truly excellent, finding great synergy with the Pro’s natural tones. Of course, audio is subjective and the Pro won’t suit everyone, but it’s a damn well considered V-shaped tone. Still, those looking for the most outright resolving earphone should look more towards a model from Rose or Meeaudio while those favouring a more traditional fit and laid-back midrange will enjoy the Quad Driver from 1More. Verdict – 9/10, The Pro is among the best-built earphones on the market with a striking aesthetic design. And most importantly, the Pro is a sonic treat, its tone is mature and refined, striking a commendable balance between tonality and technicality. If you can live with mediocre isolation and slightly sloppy bass, the Pro offers truly sensational value whether you like to listen at home or on the go. The Simgot EN700 Pro is available from Amazon for $150 USD, please see my affiliate link for the most updated pricing, availability and configurations.